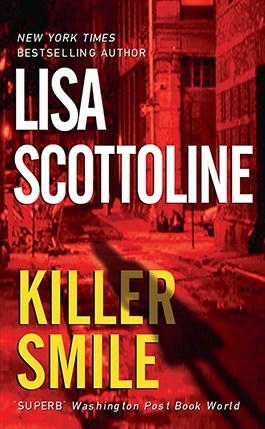 Lisa’s critically acclaimed eleventh novel, Killer Smile, not only received rave reviews from industry insiders, but was chosen as a BookSense “Summer Pick.” Killer Smile became an instant New York Times hardcover bestseller and stars the young associate Mary DiNunzio whose terror over a late-night threatening phone call is only escalated by a suspicious car that seems to be tracking her every move. 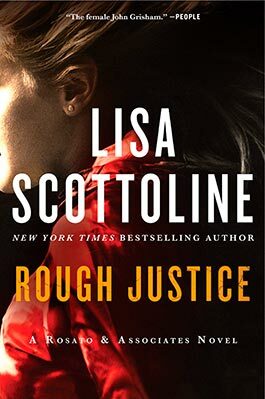 And, when a lawyer close to Mary turns up dead, she begins to suspect that the case she’s been working on — involving the suicide of an Italian-American in an internment camp during World War II — may not be history after all. Add to that the fact that everybody around Mary has decided that she’s not allowed to be a Young Widow anymore, and is fixing her up with blind dates from hell. Then a killer comes after her, and it’s more than any girl can handle — but not any woman. 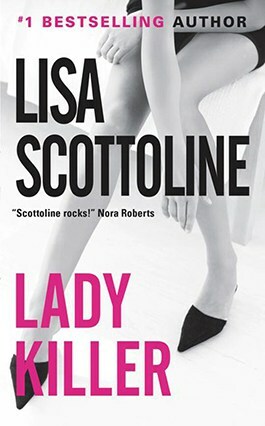 Reads of Killer Smile, Lisa’s eleventh novel, are earning Lisa enthusiastic, two thumbs-up reactions across the board. In fact, in addition to rave reviews from industry insiders, Killer Smile has been chosen as Main Selections by both Literary Guild and Mystery Guild. It has also been featured in Doubleday Book Club, Quality Paperback and Book of the Month Club. 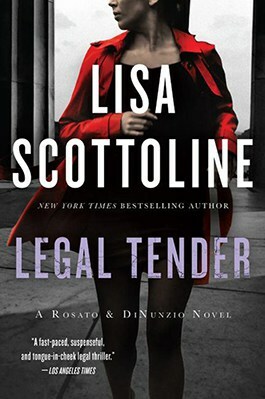 “A rousing courtroom finale…No matter who carries the ball at Rosato & Associates, Scottoline keeps it fast, fleet, and funny. Her Philadelphia is both dangerous and aglow with the promise of justice”. 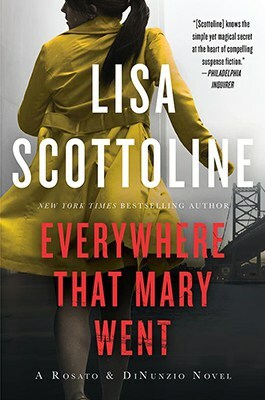 Mary feels a little bit like “everywoman” to Lisa. Do you think this is true? Does it make her more believable? How about more likable? Can you see a bit of Mary in the women you know? Do their necks get red splotches when they are nervous too? Mary has reluctantly agreed to go on blind dates, most of which don’t go well. Do you believe you can find true love on a blind date? Do you think your friends and family would be able to pick out the perfect mate for you? Do you have a horrific blind date story that you are willing to share? Did you like Mary with Bachelor #1, Bachelor #2, or Bachelor #3? Lisa got the idea for this book when she discovered her grandparents’ alien registration cards. Were you surprised to learn that Italian Americans were interned during World War II? Do you think the government was justified in going to such extreme measures to allay the fears of Americans who were feeling threatened and vulnerable? Do you feel safe today, in your country? Where do you think the boundary is between the government’s job to protect its citizens, and personal civil liberties? Mary and Judy have been through a lot together and have remained faithful friends. How far would you go for your best friend? Should your best friend accept you just the way you are, or do you rely on them for honest constructive criticism? Is it time for Mary to try and talk Judy into some fashion sense, and should Judy try to get Mary to let her hair down a bit and act more her age? Mary still seeks her parents’ approval, although she is old enough to be a mother herself. Do you ever outgrow the need for your parents’ approval? 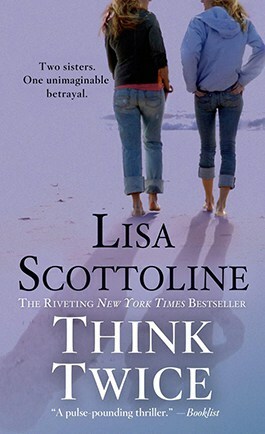 Mrs. DiNunzio faces a personal crisis that really gives Mary pause, and changes the whole dynamics of the family. How hard is it for a parent to relinquish the role of caregiver, and is it natural for the child to step into the role of the parent? Do you think Mary is ready to wield the wooden spoon? Is it time for Mary to get a boyfriend, or does she just need a pet? Do you think she was too obsessed with Amadeo and his case? Do you think she continued to work on the case just to satisfy her own needs, or do you think it was her desire to be a people pleaser, and not let down the whole neighborhood that drove her? For Lisa, her eleventh book, Killer Smile, is truly personal. As she says, many times she need not look past her own family, “The Flying Scottolines” for inspiration. The idea for Killer Smile came as she was looking through some of her father’s things. She stumbled across the alien registration cards you see here, which belonged to her very own grandparents, Giuseppe and Mary Scottoline. Prior to finding these cards, Lisa had no idea that Italian-Americans were even interned during World War II, no less that it was part of her own personal family history. This sent Lisa on a fascinating research mission. What she learned was truly eye-opening, and it provided lots of great material for her new book. Lisa could only use a portion of her research in her book, but wanted to provide additional information to anyone who was interested. If you would like to read more about the Italian-American internment during World War II click here. Although she adores her brother, growing up Lisa always thought it would be nice to have a sister too. Imagine her surprise when Lisa answered a knock at her door one day, only to find herself standing face-to-face with a nearly mirror image of herself. Practically the same age, and definitely similar in looks and personality, Lisa learned mid-life that she had a half-sister. Once she recovered from the shock, and celebrated her newly found sibling, Lisa knew she had the makings of a great book. Thus, Mistaken Identity was born. 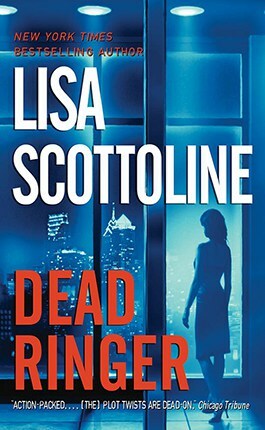 Alice Connolly, Bennie Rosato’s evil twin sister, was such a big hit (Lisa received more mail about this book than any other), that Lisa decided to bring her back in Dead Ringer. 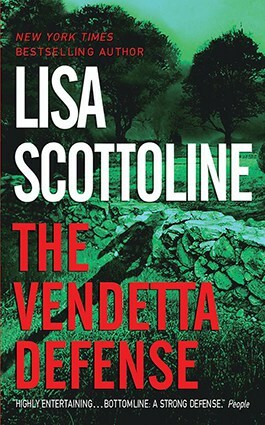 The idea to introduce the world of pigeon racing in The Vendetta Defense came, believe it or not, from someone she hired to paint her office. Lisa watched him as he worked, and was amazed at how patient the painter was even during the most tedious parts of the job. She finally couldn’t take it anymore, and just asked him where he got his self control. He told her that he has been raising and racing homing pigeons for years, and required an exceptional amount of patience. Fascinated by the painter’s passionate description of the sport, Lisa was hooked. In the end, Lisa was very surprised by how many of her readers connected in some way with this part of the story. Many people know that Japanese Americans were evacuated from their homes and relocated to internment camps during World War II. But few people realize that 10,000 Italian Americans were also interned by the government during this time, and some 600,000 Italian Americans were compelled to register as “enemy aliens,” though they had done nothing wrong. 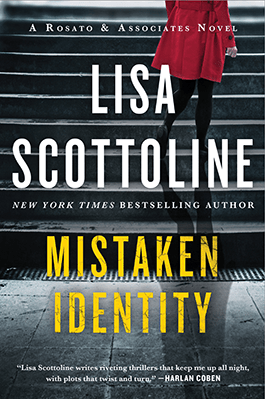 Author Lisa Scottoline’s own grandparents, Giuseppe and Maria Scottoline, were registered as enemy aliens on February 27, 1942, although they had lived in Philadelphia for thirty years without violating any laws. 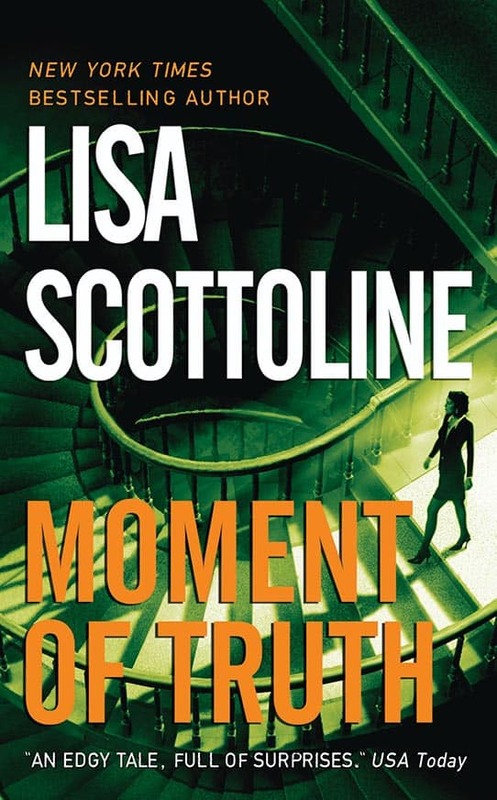 In fact, at the same time that the Scottolines were considered enemies of the country, their son, Lisa’s father Frank Scottoline, was serving in the United States Air Force, fighting against the Axis powers. At the outbreak of World War II, President Roosevelt signed into law a series of presidential orders which identified all Italian-born Americans as “enemy aliens.” The presidential orders compelled Italian Americans to register as enemy aliens, and some 600,000 registered. The orders also authorized their arrest by the FBI and/or relocation to internment camps. As a result, more than ten thousand Italian Americans living in this country at the beginning of World War II were evacuated from their homes and places of business and sent to internment camps around the country. The major internment sites for Italian Americans were Fort George Meade in Maryland, Camp McAlester in Oklahoma, Fort Sam Houston in Texas, and Camp Forrest in Tennessee. Italian Americans were also sent to Fort Missoula, Montana, and any one of the forty-five other internment camps used by the Immigration and Naturalization Service and the Provost Marshal General’s Office. Some of these Italians interned were visitors to the United States – such as waiters working at the World’s Fair in New York or sailors on visiting cruise ships – but many were Italian Americans who had lived in the United States for decades without violating any laws or without giving the government any factual basis for designating them as enemies. Some were editors of Italian newspapers, bankers, or other professionals. Many had adult children serving in the United States military, fighting against Axis nations, including Mussolini’s Italy. Italian Americans on the West Coast were greatly affected, because the enforcing general on the West Coast, Lieutenant General John DeWitt of the Western Defense Command, was vigorous in his enforcement of the presidential orders. In addition, the government believed that the coasts of the United States were vulnerable to communication with the enemy. Italian Americans were registered as enemy aliens en masse and as many as 52,000 Italian Americans on the West Coast had their daily travels confined to “exclusionary zones” and were subject to dusk-to-dawn curfews. For example, the father of baseball great Joe DiMaggio was not permitted to visit his son’s restaurant on Fisherman’s Wharf, because it lay outside his exclusionary zone. Fishermen and sailors were particularly targeted, for this reason. Many were no longer allowed to work as fishermen, and in some instances had their boats seized. Italian-American residents of the east coast registered en masse as enemy aliens. They were not permitted to travel without their registration booklet and were subject to inspection and search on demand. Many had their homes searched for flashlights and radios, and this property was confiscated on the belief that it could be used to signal enemy submarines and warships off the East Coast. As on the West Coast, the fishing business on east coast port cities such as Philadelphia, Boston, and Gloucester were affected. Fishermen were not permitted to fish, even if it supported their families, and in Boston alone, 200 fishermen alone were grounded. 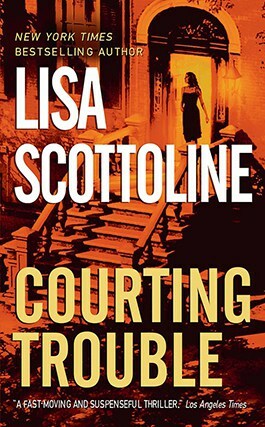 Author Lisa Scottoline’s own grandparents, Giuseppe and Maria Scottoline, registered as enemy aliens on February 27, 1942, although they had lived in Philadelphia for thirty years without violating any laws. In fact, at the same time that they were being considered enemies of the country, their son, Frank Scottoline, had enlisted in the United States Air Force and was fighting for the United States in World War II. This was not atypical, of course, for families who had lived in this country for such a long time and raised children here. A copy of their alien registration cards is attached. The status of enemy alien was eventually lifted, but the suspicion, hard feelings, and monetary losses remained. To date, no reparations have been demanded or paid to any Italian American interned and no reimbursement has ever been made to them for any property confiscated. In 1999, as a result of lobbying by the Italian American community, the United States Congress addressed the treatment of Italian Americans during World War II, which resulted in House Resolution 2442, acknowledging that the United States violated the civil rights of Italian Americans during World War II. The bill was passed in the House of Representatives in 1999, the Senate in 2000, and signed by President Clinton in 2000. The September 11 terrorist attacks and the current war with Iraq has raised questions regarding the suspension of civil liberties during wartime. This summer, the Supreme Court will decide a number of legal questions concerning the rights of “enemy aliens” and “enemy combatants,” including the right to sue in U.S. courts for unlawful detention in internment camps. As long as there is armed conflict, whether abroad or on our shores, these legal and emotional issues will recur, and will shape the contours of justice. Bella Vista, An Unseen View of WWII, television program produced by Kathy Willows and Montanans for Quality Television.